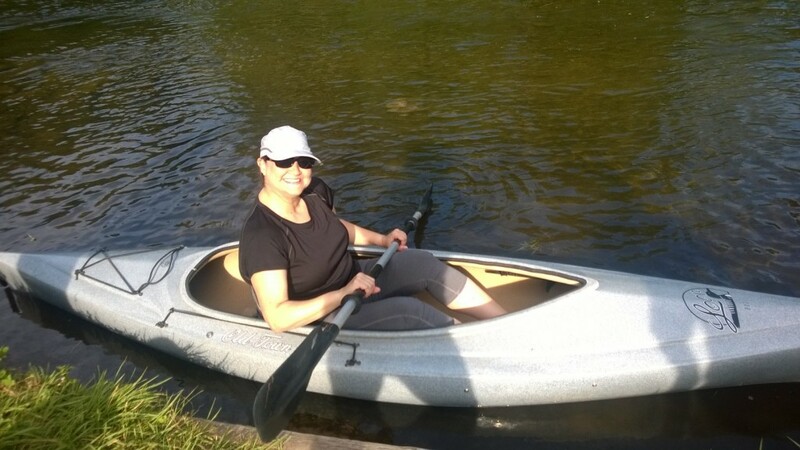 On a recent #FITTeaching trip to upstate Michigan, I was invited to go kayaking on the Rifle River. While I have been a passenger, I’ve never kayaked solo before. I was a little intimidated, but also intrigued, and my hosts reassured me that it would be a piece of cake. I was told there was one important thing to remember: don’t grab onto a branch because that will tip you over. We began paddling down the river and it was truly spectacular. The sun was shimmering on the water and shining through the trees. 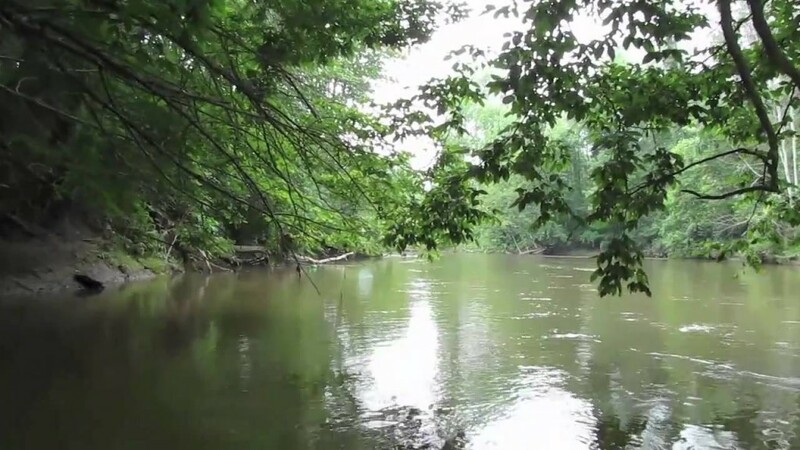 The beautiful Rifle River in Michigan. I relaxed into the journey, chatted with my hosts, and craned my neck to view the scenery. I became overconfident and failed to anticipate a branch leaning well into the river and the next thing I knew, it was coming up fast. In my panic, I did the one thing I wasn’t supposed to do: I grabbed the branch, tipped the kayak, and dumped myself into the river. No injuries (except my pride) — and my hosts kindly retrieved my kayak (now well down the river) and helped me back in. As we continued, they gave me some pointers on how to properly hold the paddle, how to use it as a rudder, how to control my speed. I focused more on my job and managed to stay afloat, despite the occasional obstacle. Here’s the thing: at a certain point in life we become comfortable with our skills and enjoy our expertise. We tend to concentrate on doing the things we’re good at. It can be easy to forget that there’s great value in trying something new. For those of us who teach, it’s critical to remember that our students are novices. We ask them over and over again to experience discomfort and try new things. That’s really hard — and we need to be there to support them when they take the occasional fall into the river. Will I try kayaking again? Absolutely. My hosts gave me an opportunity to experience successful failure. I dumped myself in the river and learned from my mistake. I look forward to another outing where I can try out what I’ve learned and develop a new set of skills. When I was a fledgling doctoral student, my mentor Ralph Ginsberg introduced me to the work of Seymour Papert. Reading The Children’s Machine profoundly changed my thinking about teaching and learning … his books continue to influence all of my work — whether I’m teaching children or adults, whether my focus is on teaching specific content, or coaching, or supporting groups to strategize. Constructionism always informs my purpose. As I prepared my dissertation proposal defense years ago, I struggled with my literature review. 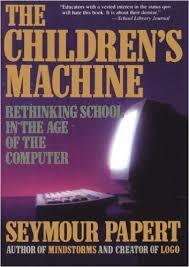 My committee chair suggested I get in touch with Papert, since I relied so heavily on his work. I felt as though I was reaching out to an ancient greek philosopher and couldn’t believe he’d have time for a lowly Penn student. But Seymour replied quickly to my email, patiently answered my questions, and shared several articles (some of them unpublished) to assist me. He didn’t just accommodate my requests — he also encouraged me to push my thinking and consider aspects of instructional design that I hadn’t previously considered. As impressed as I am with his theories and passion about education, I will never forget that he took the time to support me (a complete stranger) in learning. The world lost a great mind and a superb teacher yesterday. Let’s continue his work.